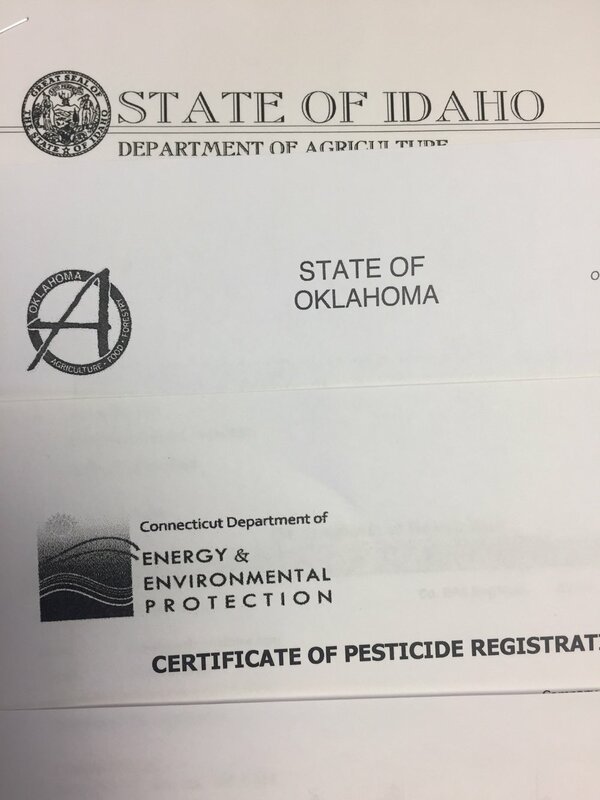 Only 30 days into 2018, Aprehend® is now registered and shipping to Licensed Pest Control Operators in over half of the United States. Alabama, Colorado, Connecticut, Hawaii, Idaho, Montana, Nevada, Oklahoma, Vermont and Wyoming. If Aprehend® is not yet available in your state, please watch for updates (here and on Facebook) as new registrations are arriving daily. Newer PostAprehend® Registered in Georgia!